Stalin Park was originally called Riverside Park. Constructed in 1953, it is measured 1750 meters from the Songhua Railway Bridge to Jiuzhan Park (Ninth-station Park). Locals and visitors alike congregate year-round in Stalin Park. The tree-lined promenade, dotted with statues, playgrounds, recreation clubs and cafes for the locals. A 42-km embankment was constructed along the edge to curb the unruly Songhua River, hence the surreal-looking Flood Control Monument (Fang Hong Ji Nian Ta), which was built in 1958, commemorates the thousands of people who died in years past when the river over-flowed its banks. The sandy banks of the Songhua River take on something of a beach atmosphere in summer, with boating ice-cream stands, sample snacks, beer and photo booths. It's possible to travel on tour boats arranged through the local travel agency but you might like to investigate local docks for a quick sortie down the Songhua River. 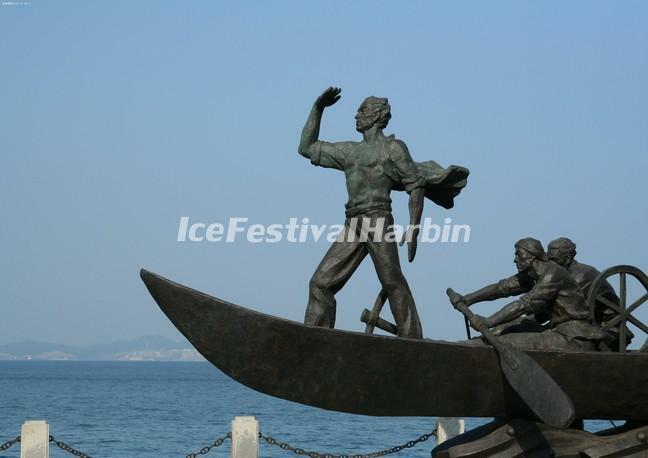 In winter, the Songhua River becomes a road of ice (when it's one-meter thick in can support a truck), the locals and tourists take it as a sports center, with ice skating, sledding, sleighing, ice hockey and ice sailing all options. You can hire the gear you'll need from vendors along the riverbank. If you really want to show off, join the people who like to swim in the gaps in the ice. 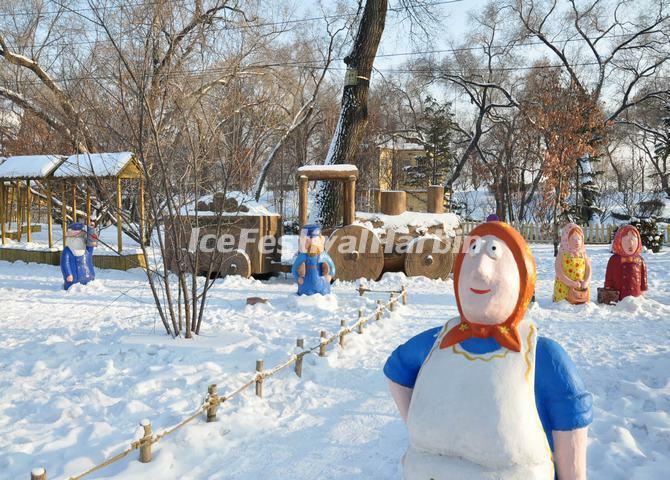 Like Zhaolin Park and the Sun Island Park, Stalin Park is also designated as one of the venues of the annual Harbin International Ice and Snow Festival. The artists from all over the world would spend some days to finish their great ice or snow sculptures in December or January. The park is free and open all the time. You can catch No.11 bus from the train station to get there. Also, you can take buses 2, 8, 9, 12, 13, 15, 16, 20, 23, 26, 64, 79, 83, 85, 101, 102, 103, 113 and 114 to the bank of the Songhua River and then walk several minutes to the park.